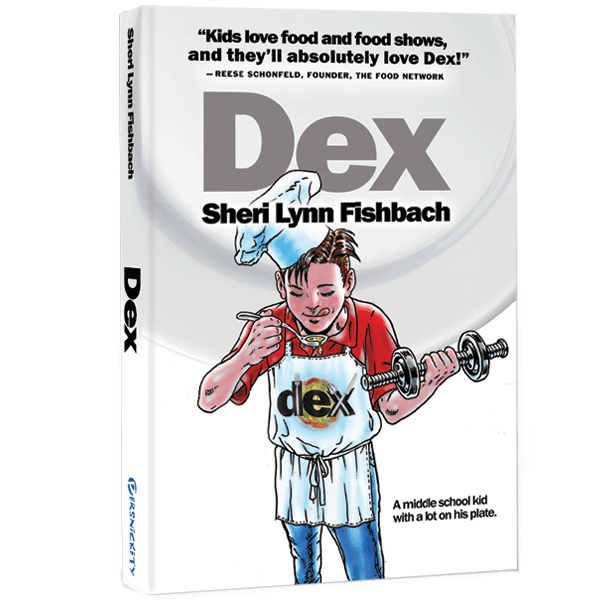 DEX is an inspiring story for tweens 8 – 13, and a charming read for all adults that love food. Dex Rossi is a gawky, lovesick middle-school entrepreneur and amateur chef who runs a gourmet lunch stand from his front lawn. In love with a girl who likes jocks, he hopes to earn enough money to buy a gym system that will help him bulk up and win her heart. But while he serves up his locally famous food, his profits come to serve another purpose. 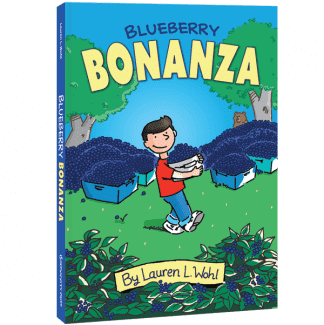 He discovers that his grandmother’s restaurant is in financial ruin, and to save it, he must cook up a quick plan! 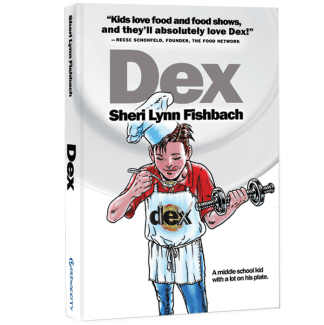 With the help of Alicia, his filmmaking older sister, and a host of great friends, Dex kicks his business into high gear. As word of his talent spreads like peanut butter, an unlikely windfall comes his way. Dex lands his own TV cooking show on the famous Eatz network! But just when he thinks he’s got his problems licked, Dex finds himself going head to head with a scheming, hard-boiled associate with a secret he has kept closely guarded. Dex learns that when your dreams are on the chopping block, finding the right ingredients is the best recipe for success. Sheri Lynn Fishbach Fishbach is a New York-based freelance writer and editor who has contributed to local, regional, and national publications including Gannett’s the Journal News, Psychology Tomorrow, the Jewish Reporter, Steppin’ Out, and the New York Times network of newspapers. She lives in Bardonia, NY.